It'd be hard to argue that The White Stripes weren't one of the most essential rock acts of the 21st century thus far. It'd be even harder to argue that at least four of their albums weren't bonafide classics by doing what more rock bands should: stripping down to the basics, writing gripping melodies, and then building back on top of them, thanks to the virtuoso talents of Jack White. But one thing was all the more certain: ever since the breakup of the White Stripes - hell, probably even before then - Jack White has been obsessed with his place with respect to the women in his life. First with his breakup from his partner Meg White and then his divorce to Karen Elson, you can tell these events have haunted him for years, and nowhere did this become more apparent than on his debut solo album in 2012 titled Blunderbuss. And make no mistake, for the most part that album brought everything I loved about the White Stripes to the forefront on this record, and on a musical level, I dug the hell out of it. The guitarwork was solid, I liked the genre-hopping nature of the tunes between garage, blues, and folk, and the melodic composition was as good as ever. Lyrically, though, Jack White was playing in a grey zone with his framing that was tricky to gauge. While he was playing the 'evil women' card more often than was really comfortable, Jack White made it very clear that he wasn't exactly a sympathetic character, and that his damaged views on what love was or should be, all characterized by the female backing vocals that supported him. But at the same time, there's something of a limit to how much of that brand of blues rock-inspired topic I can reasonably stomach, so when I heard reports suggesting White was going back to this topic, I was a little less enthused about this record than I'd like to be, even if there was signs of more country instrumentation. So on that note, I checked out Lazaretto - how did it go? Well, I'm perplexed - because I keep getting the frustrating feeling that that this album should be gripping me more, and I mean a lot more. I mean, a rock record rooted in blues and country with great instrumental texture with a wide breadth of instrumentation, written and performed by a songwriter with a natural gift for great melody and witty lyrics, this is just a pile of stuff I really love - so why don't I love Lazaretto by Jack White? It's his most lavish, polished, and by all accounts as complex if not more than Blunderbuss, so what doesn't click here? Because at first look, it should work. Jack White as a singer does take a bit of time to get used to, but he's vicious and has a ton of energy and throws himself into every song he touches. And yet while his voice does seem to fit better with scratchy, lo-fi, borderline gothic instrumentation, he's surprisingly competent in the more melodic realm of country music. In fact, this album might have his most melodic, reserved performance to date, which isn't a bad thing, especially because it adds a certain amount of world-weariness to his more country songs that does feel cohesive. And as I said, the instrumentation and production are more lavish and expansive than ever. You have the bluesy garage rock full of spiky guitar leads, quietly echoing percussion, ominous pianos, and beautifully composed organ lines in songs like 'Three Women', 'Lazaretto', 'Would You Fight For My Love', 'High Ball Stepper', and 'That Black Bat Licorice', songs that are the most familiar to Jack White with gothic symphonic backing vocals and a seedy darkness that underscores every crackle of the guitar. And in contrast you have the country-inspired tracks in 'Temporary Ground', 'Alone In My Home' and 'Entitlement', smooth tones, steel guitar, and slightly more spacious production to give the richer tones more room to breathe. And then you have 'Just One Drink' and 'I Think I Found The Culprit' that fit somewhere in the middle, and honestly it's a fusion that works pretty well on the latter, cutting into that dangerous minor-key saturated sound that permeates the a perfect fusion between blues and outlaw country. The big common element between both of these is the fiddles - and really, they're the highlight of this record: jagged and drifting between tone to tone, and it adds a ton of cohesion and groove to the record. And as always, Jack White is a great melodic composer, and the crackling, interweaving melodies and solos show the same tight professionalism that has defined White's career. And with the exception of the piano ballad 'Want And Able', which might have some decent poetry but falls flat with unnecessary binaural vocal production and a really basic melody, the instrumentation is really quite solid: nervous yet composed, reckless yet deadly focused. So where's the problem here? Well, the obvious answer would be the songwriting, but on a first glance there doesn't seem to be an issue. The 'evil woman' cliche has been thankfully toned back, as Jack White has described these songs as reworked versions of poetry and plays he wrote when he was 19 and recently discovered. And when you scan through the lyrics, you can tell - thematically, this record seems to be exploring a frustrated state of purgatory, either in love, in heartbreak, or in White's own perception of the world. 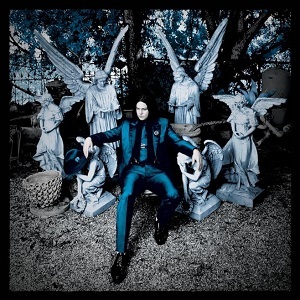 Take the title track - a lazaretto is a quarantine station for immigrants infected with disease, and when Jack White fuses it with self-aware bragging about his faults, you can tell the complex framing is back in full. But it's that sense of purgatory, being isolated in the middle, that crops up again and again on this record. The opening track has him caught between three women he can only describe by hair colour, and 'Temporary Ground' and 'Alone In My Home' focus on those feelings of isolation and frustration, the latter of which curdle forth more in 'Would You Fight For My Love?' and 'Just One Drink', as he feels like a ghost caught loving a woman who neglects her love in return. And that frustration drives tracks like 'Black Bat Licorice' and 'I Think We've Found The Culprit', the former featuring some of his most descriptive lyrics yet as he finally reaches a breaking point. And it's really that dichotomy between desires and reality that underscores the entire album, even the more socially conscious track 'Entitlement' which features the great double standard of how parents of my generation did so much to define those 'wants' beyond measure and then criticized that generation when they started asking for it - which is a conflict Jack White makes very literal on the parable-like 'Want And Able', which is another reason the song doesn't really work. It's too broad, and Jack White didn't need to hammer that theme. So where's the issue? Well, I'd argue it comes down to the songwriting and conflict, because it isn't really defined. Now some of you are thinking, 'Wait, he just spent the entire review describing conflicts' and I did - but note that for the majority of the tracks, nothing really happens. Jack White stews in frustration and indecision, feeling cut out and isolated, and he's smart enough to frame himself as quite likely deserving these positions - but there's no climax. There's no change in the stakes, there's never really the moment where White cuts loose and 'does' something. Things happen to him, but he's always a passive player in the songwriting - and because of that, the drama feels muted. And while that curdled frustration might be a better fit for goth-inspired blues rock, it's not a great fit for country instrumentation, as the more placid and subdued instrumentals, and White's slightly less ragged and passionate vocals leach away even more of the drama. And since the songwriting isn't quite as colourful on these songs either, they just have a lot less spark to me. Look, this album is far from bad - in fact, it really does a lot right, between the solid melodies, great arrangements, excellent framing, good delivery, and cohesive lyrics, it's no surprise this record is doing well. But it isn't really clicking with me, and I get the feeling it's because there's a lot of frustration and hesitation but a very muted payoff. So for me, it's a 7/10 and a recommendation, but keep in mind that this album is still very much worth your time if you can get sucked into the grooves. It didn't really click for me, but I know good music when I hear it and it'll probably click well for you, so check it out.